Comments: Hardcover and dust jacket. Good binding and cover. Clean, unmarked pages. Ships daily. Michael Shaarawas born in Jersey City in 1929 and graduated from Rutgers University in 1951. His early science fiction short stories were published inGalaxymagazine in 1952. He later began writing other works of fiction and published more than seventy short stories in many magazines, includingThe Saturday Evening Post,Cosmopolitan, andRedbook. His first novel,The Broken Place, was published in 1968. But it was a simple family vacation to Gettysburg, Pennsylvania, in 1966 that gave him the inspiration for his greatest achievement, the Pulitzer Prize-winning novelThe Killer Angels, published in 1974. 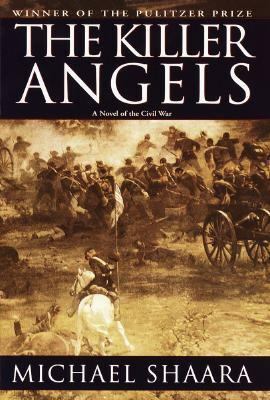 Michael Shaara went on to write two more novels,The Noah ConspiracyandFor Love of the Game, which was published posthumously after his death in 1988.Shaara, Michael is the author of 'Killer Angels' with ISBN 9780345444127 and ISBN 0345444124.